Wayland, MA (December 12, 2016) – ClearGov, a leading municipal transparency and benchmarking platform, announced today that its InsightsTM municipal database now covers over 60% of the US population. Through its unique interactive infographic approach ClearGov is proactively bringing enhanced transparency to 18,870 municipalities across 20 states serving an aggregate population of 200+ million people. With this announcement the ClearGov platform now boasts the world’s largest public collection of local government financial profiles. 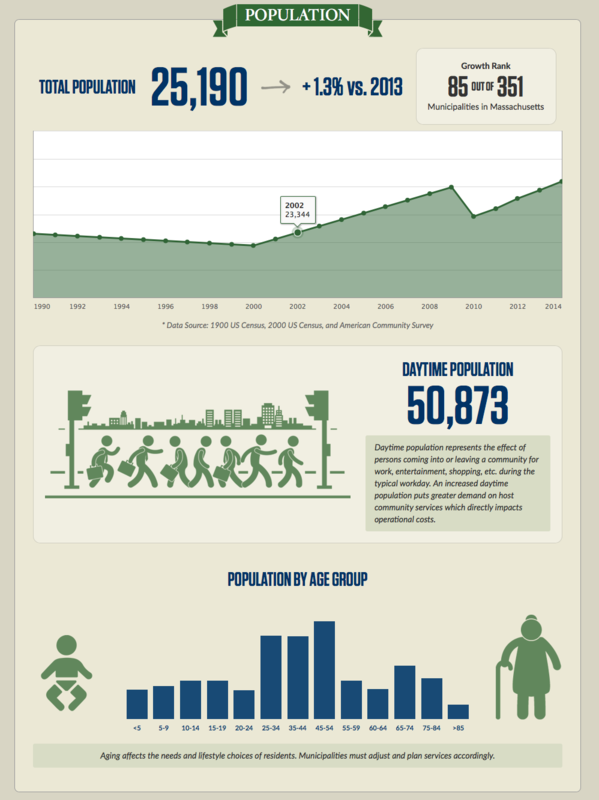 ClearGov transforms complex financial municipal data into easy-to-understand infographics. Through ClearGov’s proprietary benchmarking algorithm the site automatically compares the revenues and expenditures of local governments to their statistical peer communities to provide context for visitors. 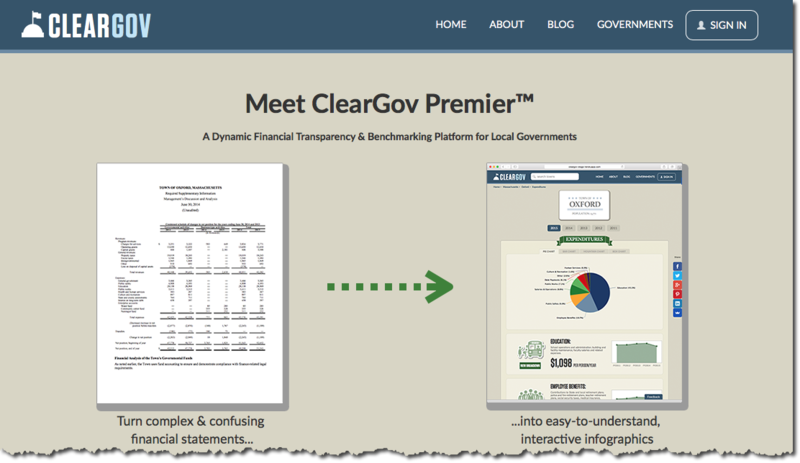 Local governments can upgrade their ClearGov page to enhance their financial profile with more current and granular detail and to unlock enhanced data modules to help better tell their financial story. Over 50 communities have leveraged the ClearGov platform to better communicate their financial story and gather insights into their municipal budget in comparison to peer communities. The ClearGov InsightsTM database also enables local government officials to easily create custom benchmarking analyses. These comparisons against similar communities empower these officials to make more informed and data-driven budgetary and policy decisions. At ClearGov we firmly believe that in order to be truly transparent you need to provide context. Without context numbers can be meaningless, confusing and even misleading. Citizens who don’t understand the full picture can often misinterpret figures and the factors that are driving budgetary decisions. These misinterpretations can be spread like wildfire through social media and cause headaches for local governments as they must overcome negative publicity and lost trust. As we listened to our clients it became apparent that we needed to help them better tell a fuller picture. Every community is different and local governments must account for these differences in the services they provide. Helping the public to understand the dynamics that drive their government’s decisions is critical to gaining public support. Population: Population dynamics play not only an important role from a planning perspective, but also from a day-to-day perspective. For instance, towns that have a large “Daytime Population” have an influx of daily commuters that increase the demands (and expense) of Public Safety services. Household Type: Household Types not only play a role in the types of services a municipality must provide, but can also be a key factor to attracting new residents (and increasing the tax base). Economic: Income dynamics can drive the needs for additional social services on one end of the spectrum and affect the spending power of the schools, for example, on the other end of the spectrum. Housing: Home value trends play a key role in attracting new residents and increasing the tax base. Click here for a live example of this new page. This new module is now included with ClearGov Premier, our enhanced communications platform available to all municipalities in Massachusetts, California and New York. At ClearGov we pride ourselves on being good listeners and taking direction from our clients. So when one of our newest clients mentioned that they would like to see a visual comparison of how their town compares to similar towns, we took that to task. Clicking on any benchmark metric now reveals a stack ranked bar chart for peer municipalities. This bar chart stack ranks the per capita figure that you are benchmarking for each municipality. So you can not only see that your town spends 35% more on education, for instance, than similar towns, but you can also see how this stack ranks against these similar towns. We hope you find this enhancement interesting and useful. Please leave a comment below if you have any questions or suggestions. 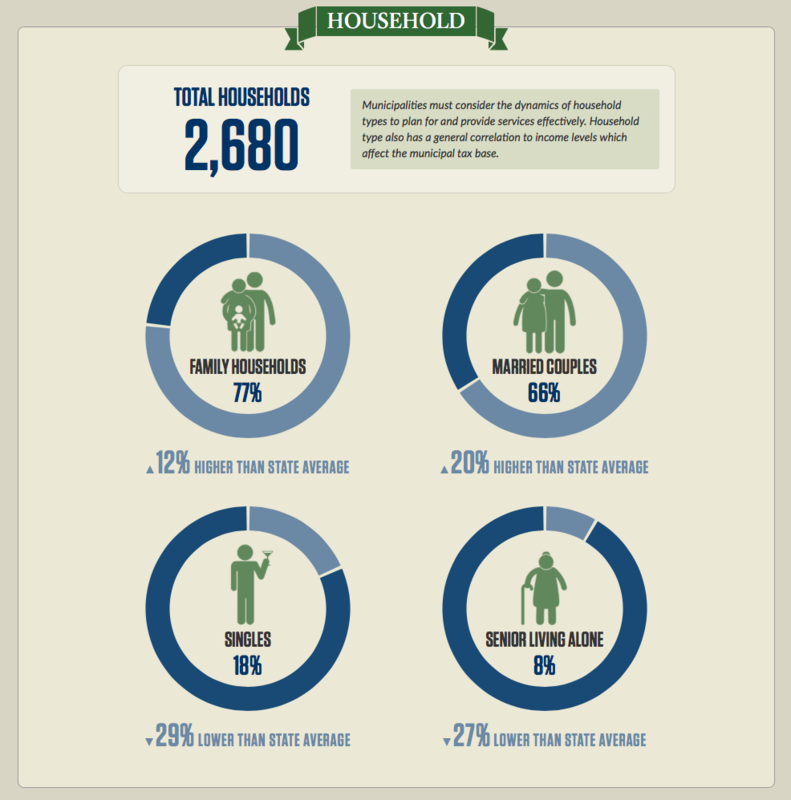 At ClearGov we believe that numbers by themselves rarely tell the full story. One must understand how each number relates not only to its respective historical figures, but also to its peers. With this in mind, we decided to build peer benchmarking into the DNA of ClearGov. We were told countless times that municipal benchmarking is difficult. “There are so many factors to consider when comparing towns” was an oft heard comment. While we agree every town and city is unique, we also know from experience in Big Data that benchmarking is never 100% perfect – but it can get close with the right data. With our latest release of ClearGov today, we are taking a big step forward in improving the intelligence that we provide to citizens and internal municipal stakeholders. After many discussions with local municipal leaders we’ve decided to incorporate Average Assessed Home Values into our benchmarking algorithm. 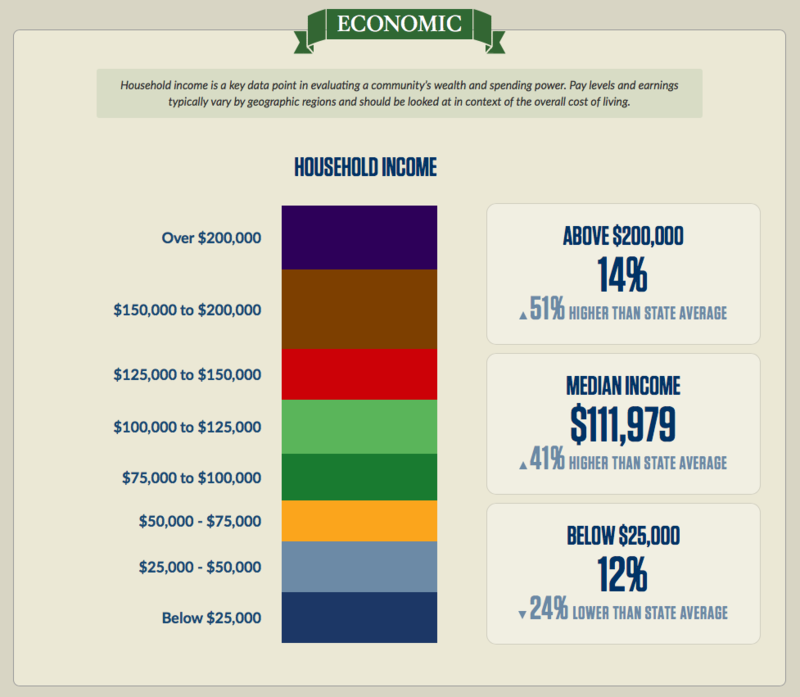 Clicking a benchmark metric reveals what towns are being used in the comparison. Traditionally our benchmarking model identified peer towns and cities by looking for municipalities with similar populations within a certain radius (measured in miles) of the town being analyzed. While this model captured many similar cities, it also captured cities that had vastly different tax bases. In other words, two towns could be close in proximity and population, but one town may be much wealthier. This difference in wealth results in a very different tax base and budget dynamic. So we decided to use home value as a proxy for citizen wealth to better accommodate for different tax bases in our peer comparisons. The result is a vast improvement in ClearGov’s ability to dynamically identify peer municipalities and better benchmarking metrics. The updated benchmarking algorithm is part of a larger site refresh launched today. 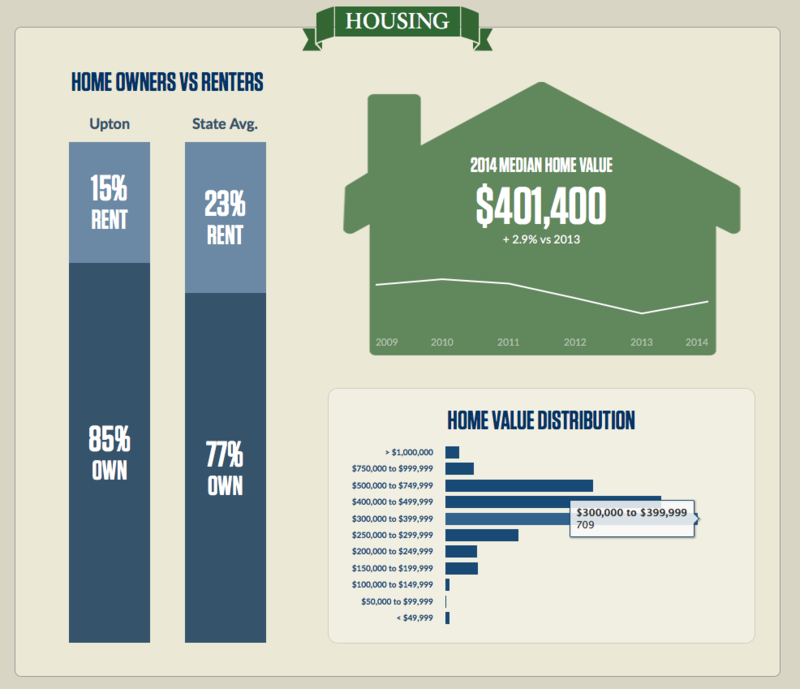 The latest release includes new animated charting, per citizen metrics and an updated site structure. The updated benchmarking algorithm has been incorporated into all Massachusetts cities and towns. New York and California will be updated soon. 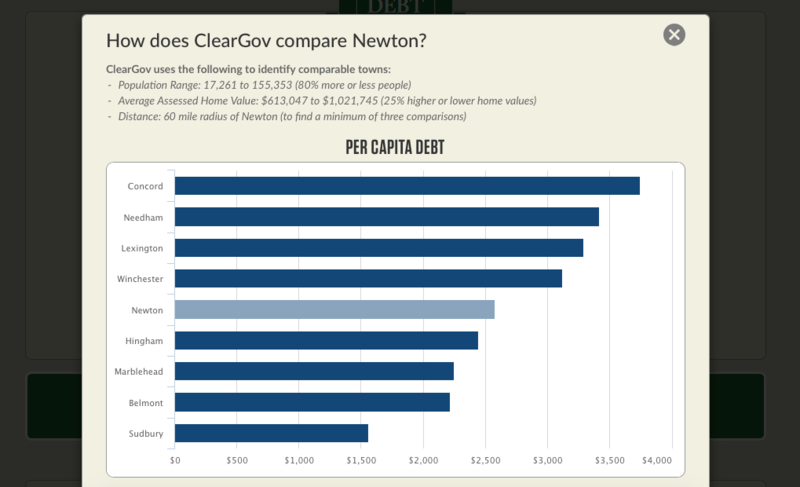 ClearGov helps the average citizen better understand their local government and how their tax dollars are being spent. Local government leaders also leverage ClearGov to better understand how their municipality compares to peers in an effort to make more informed budgeting decisions. ClearGov was developed to help the average citizen better understand how their tax dollars are being put to use. A major element to this mission involves benchmarking town’s finances. In other words, how do you know whether $35 million spent on your town’s education system is a proper figure without a point of reference. Benchmarking this figure against other towns provides that meaningful baseline for comparison. Today ClearGov has launched enhanced town financial benchmarking technology to better identify towns for more accurate comparisons. ClearGov’s new comparison modeling takes into account two key factors: proximity of towns and population size. When benchmarking Town X’s finances ClearGov’s smart algorithm first looks for other towns with a population within 50% deviation (up or down) of Town X’s. In other words, if Town X has a population of 10,000, ClearGov will identify towns within the same state with populations between 5,000 and 15,000. Next the ClearGov limits this pool of towns to within a 20 mile radius of Town X. If this combination of population and proximity filters do not produce a minimum of five towns to benchmark against, the smart algorithm gradually increases the radius and population deviation to “widen the net.” This is especially critical for small towns in rural areas, as well as large cities. Our goal is to continue to refine this algorithm to ensure that our town comparisons properly identify true peer towns. Stay tuned for continued enhancements in the near future! In the meantime, please let us know if you have any questions, feedback or suggestions in the comments below.